Spanning two continents and once serving as home to three great world empires, Istanbul has always been a crossroads for ideas and innovation. As such, it's no surprise that the city is the recipient of numerous industry awards and accolades, including being named the European Capital of Culture for 2010 by the European Union. It was also highly ranked on the International Congress and Convention Center's city rankings for meetings in all recent years. This well-deserved popularity undoubtedly comes from Istanbul's distinct ability to blend its historic cultural treasures with modern infrastructure, charming hospitality, and quality accommodations. Istanbul's versatility is easily seen in its many contemporary meeting facilities, which are spread among three conference "clusters": the Airport & Exhibition District, the Business & Finance District, and the Conference Valley. Perhaps the largest of the districts, the Airport & Exhibition District boasts two large exhibition centers, a convention center, and several four- and five-star hotels. Among them, the massive World Trade Center Istanbul is an all-in-one meeting option, offering a 97,000-square-meter exhibition center, two luxury hotels, a convention center with a 4,000-person capacity, and a three-plaza business center. 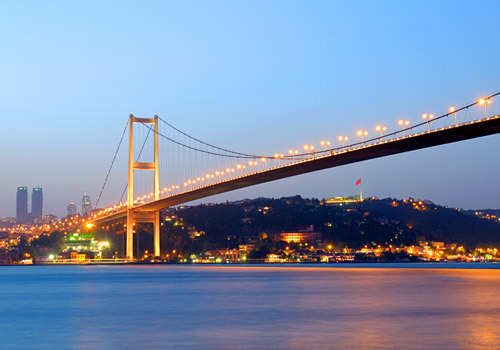 The Business & Financial District, which lines the Bosphorus, offers numerous five-star accommodations with meeting space. Among them, the 323-room Grand Cevahir Hotel and Convention Center boasts 22 meeting rooms, a 2,500-square-meter ballroom, and a state-of-the-art, 1,013-seat auditorium. Combined with the convenience of being near the headquarters of several major companies and the Istanbul Stock Exchange, convention hotels in this district are ideal for conducting important business. Within the Business & Financial District is Istanbul's Conference Valley, whose centerpiece is undoubtedly the expansive Istanbul Convention & Exhibition Centre. Here, convention guests find a 2,000-seat auditorium and a 2,100-square-meter ballroom in the brand-new 7,000-square-meter Rumeli Fair & Exhibition Hall. The center also features 21 meeting rooms, five boardrooms, and six VIP suites, plus 12-language simultaneous translation facilities, audio-visual technicians, catering for 7,000 people, and all the other necessary amenities to make conferences and banquets go smoothly. 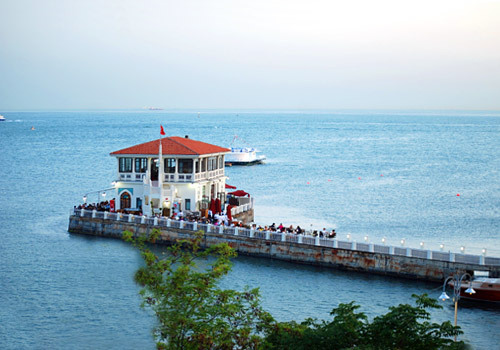 Both within its three major meeting districts and outside of them, Istanbul has a wealth of unique venues that are sure to make an impression on convention goers. 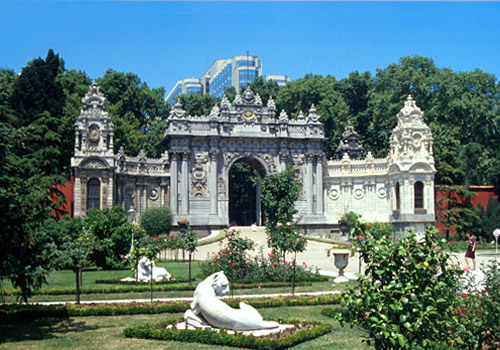 Sip champagne in the gardens of the stunning Dolmabahce Palace, former home to six Ottoman sultans and one-time residence of the founder and first president of the Republic of Turkey. Groups of 10 to 800 people will delight in belly dancing performances and Turkish songs at Kervansaray, a traditional Turkish revue that's located within walking distance to numerous Conference Valley hotels. Or, book a luxury dinner cruise aboard the Bosphorus Princess, where panoramic views of the city's soaring minarets and majestic palaces serve as an unforgettable ending to a day in Istanbul. 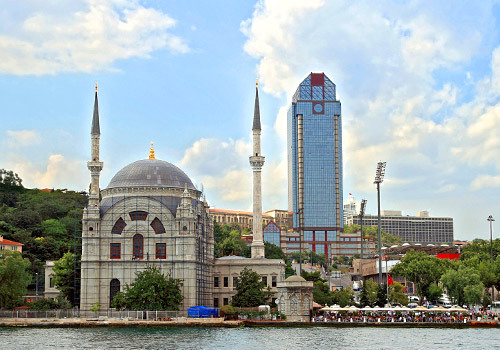 Istanbul's meeting venues are made even more appealing by their accessibility. Whether by land, sea or air, the city is easily reached from points around the globe. With nine domestic and 23 international gates, Istanbul Ataturk International Airport is a bustling gateway. With about 700 daily flights, the airport is fewer than three hours by air from most major European cities. Within the city, an extensive public transportation network, along with large multi-seat taxis, or dolmuses, make it easy for guests to travel to and from points of interest. Istanbul is the center of the Turkish economy, being both the hub of trade routes and the largest industrial center in the country. Major industrial products produced include textiles, rubber, chemicals, pharmaceuticals, glass, and electronics. The city is also an important place of higher learning, being home to over 20 public and private universities. 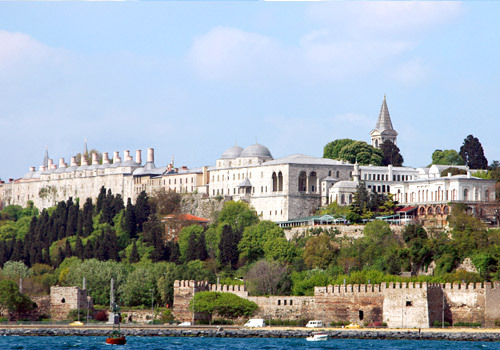 With a history that spans over 3,000 years, Istanbul offers visitors a little bit of everything. Exploring its streets, guests may just as easily encounter a marble palace alongside a contemporary hotel, cross from a modern bridge into a quaint, cobblestone street-lined neighborhood, or pass a majestic Ottoman mosque under the shadow of a towering skyscraper. This unparalleled blend of attractions is what brings in over 23 million visitors a year. 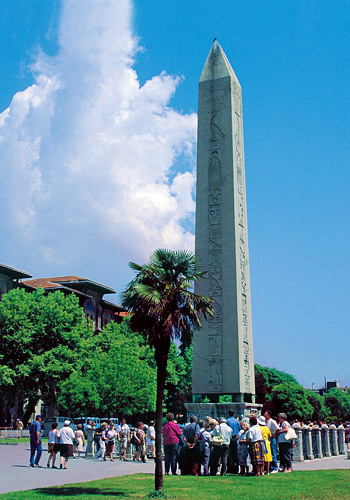 Istanbul's amazing historical and cultural depth can be traced back to its unique location. 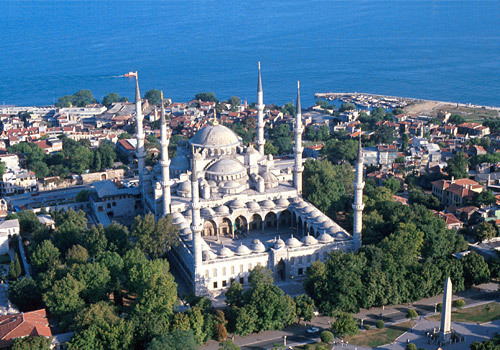 Situated on the Bosphorus Strait in the northwest part of Turkey, the city serves as an important port city for navigation between the Black Sea and the Sea of Marmara. It also spans two continents, Europe and Asia — the only city is the world to do so. 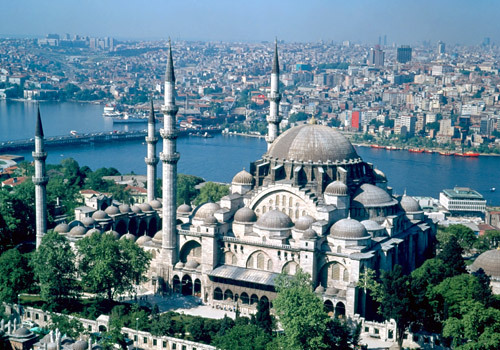 As such, Istanbul has been at a crucial crossroads for trade for centuries, making it the coveted location of choice for three world empires: the Romans, the Byzantines, and the Ottomans. 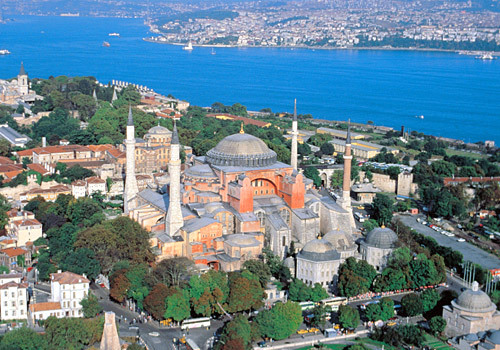 The influences of these great civilizations create truly one-of-a-kind attractions in Istanbul. 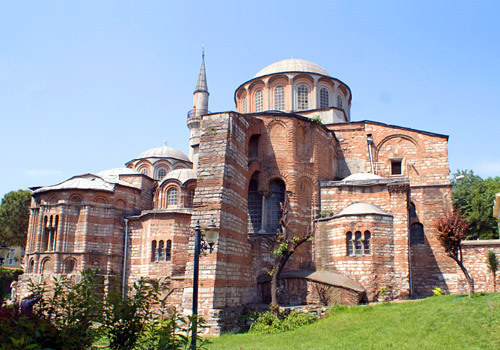 Visit one of the world's best examples of Byzantine architecture, the Hagia Sophia, which was first built as a church by the Byzantine Emperor Justinian. The impact of the Byzantine reign is also seen at the Basilica Cistern, located just west of the Hagia Sophia. Built to supply water to the city, the cistern today is an awe-inspiring, 9,800-square-meter underground chamber supported by over 300 marble columns. 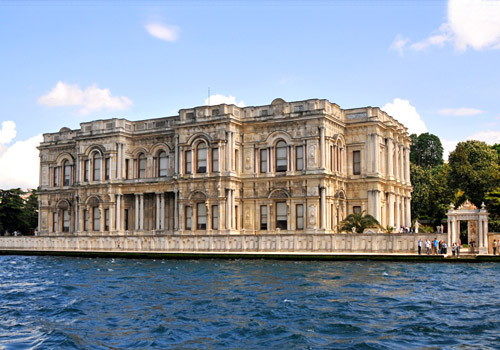 The magnificent Dolmabahce Palace and the Blue Mosque, whose six towering minarets are iconic elements of the city's skyline, are other key Istanbul attractions dating from Ottoman rule. 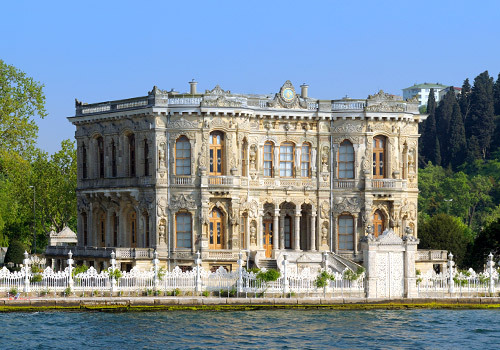 Guests can also immerse themselves in Turkish culture outside of the historic halls of its museums and churches. Visit the sprawling Grand Bazaar, one of the largest and oldest covered markets in the world. Visitors can pick up everything from amber prayer beads to gold jewelry to furniture among the more than 5,000 shops that line the bazaar's 60 streets. 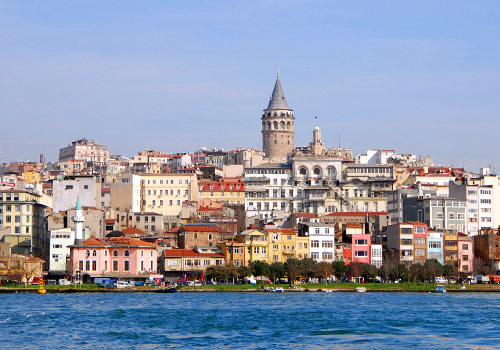 Or, indulge in a relaxing treatment at one of Istanbul's many hamams, or Turkish baths. 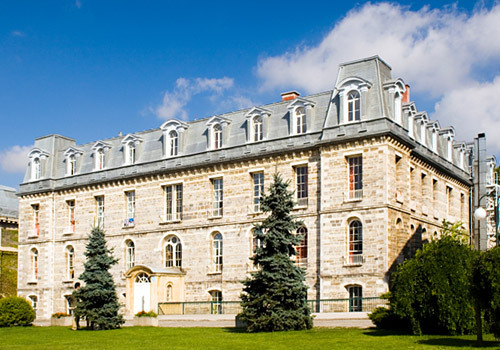 Suleymaniye Hamam, Cemberlitas Hamam and Cagaloglu Hamam are among the many historic baths that have been treating locals, visitors, and even royalty for years. After a day of sightseeing, visitors can continue their exploration of Istanbul's people and tradition by enjoying some authentic cuisine. With restaurants popping up on nearly every corner, guests will have no problem finding a spot to enjoy culinary creations, including delicious mezes, or appetizers, the Istanbul specialty of Fish in Salt, or one of the classic kebabs, of which there are over 100 varieties. Cap off the evening with an after-dinner cup of freshlybrewed Turkish coffee, or opt for a glass of Turkey's national drink, raki, an anise-flavored spirit that turns milky white when mixed with chilled water. 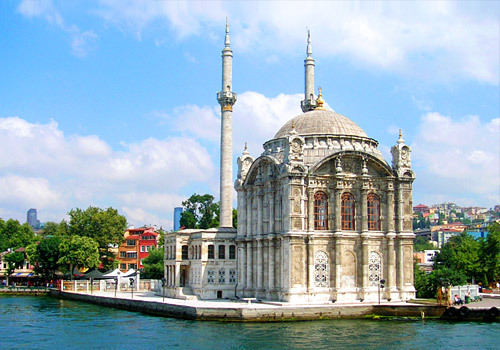 Istanbul's temperate climate is marked by hot, humid summers and cold, snowy winters. Summertime temperatures average around 28°C, though humidity often makes the summer days seem hotter than they are. Rainfall is rare during the summer. Winter sees temperatures around 5°C and an average of 19 total days with snow. Snowfall amounts vary, but most snow cover remains on the ground for only a few days. 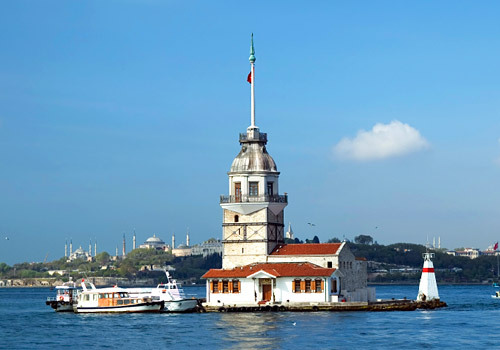 The best time to visit Istanbul is in April, May, September or October, when guests can take full advantage of the city's mild temperatures, low humidity and light, cooling breezes. Located in Istanbul's Convention Valley district, the modern, sprawling Istanbul Convention & Exhibition Centre (ICEC) can accommodate up to 6,000 people. In addition to 26 meeting rooms for 60 to 600 guests, the center also boasts one of Istanbul's largest ballrooms. Located in the 7,000-square-meter Rumeli Fair and Exhibition Hall, the 2,100-square-meter ballroom, divisible into two sections, features simultaneous translation and full audio-visual services as well as two spacious foyer areas. Meanwhile the Anadolu Auditorium seats 2,000 people comfortably and features cutting edge acoustics and projection. Also in Rumeli Hall are five boardrooms, six VIP suites and a 45-square-meter business center. Its lower level is perfect for fairs, exhibitions and more thanks to 3,000 square meters of floor space, or room for up to 2,500 people. The hall, which encompasses the ground and lower levels of the center, can be linked with an ICEC event or rented separately. Other fantastic meeting and event spaces at the ICEC include the 3,000-square-meter foyer; the 3,000-square-meter Rumeli Garden, which can accommodate up to 5,000 guests; the on-site Loft Restaurant and Bar for 130 guests; and the on-site Bodazici Borsa Restaurant, which specializes in Turkish cuisine and seats 500 people inside and 1,000 people outside on its summer terrace. The ICEC is conveniently located within walking distance of more than 6,000 guest rooms, including those at six five-star properties. 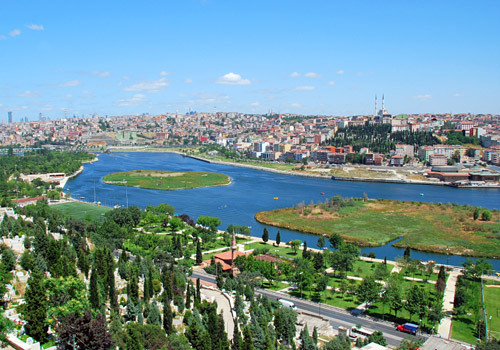 A leader for Istanbul's meetings and events, the ICEC has hosted such illustrious guests as former U.S. President Bill Clinton and Jacques Chirac, who enjoyed a stage performance of the "Lyrical History of Anatolia" here. 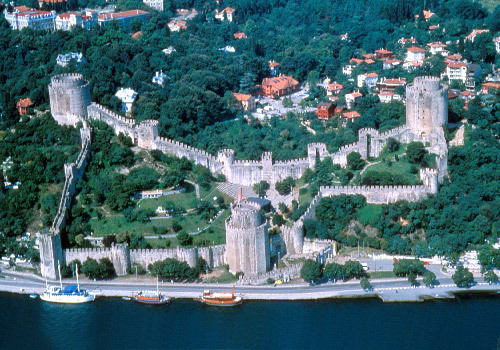 Additionally, the center hosted the Turkish launched of Windows 2000. Located right next to the Istanbul Atatürk International Airport, the World Trade Center Istanbul (WTCI) offers an all-in-one option for meetings and conventions of all kinds, offering everything from ample exhibition space to first-class accommodations. 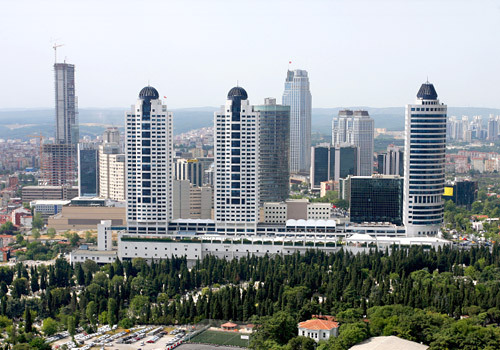 At 500,000 square meters, it is the largest and most comprehensive trade center in the world. Among the facilities at WTCI, the Istanbul Expo Center's 97,000 square meters host approximately 100 exhibitions each year. Meanwhile, the massive Business Center complex encompasses 180,000 square meters and includes three buildings that are home to 130 shops and 346 offices. Business Center occupants and guests will enjoy 24-7 service from technical, security and cleaning teams as well as a 2,500-vehicle car park. Finally, the five-star WOW Istanbul Hotel, four-star WOW Airport Hotel and WOW Convention Center occupy just over 74,000 square meters of the World Trade Center's facilities. Combined, the WOW hotels provide the biggest accommodation capacity in the city at over 600 rooms, plus luxe amenities such as fitness centers with Turkish baths and massage rooms, on-site restaurants and more. 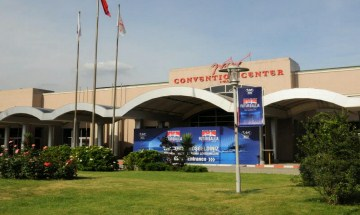 The WOW Convention Center, which can be reached directly from the hotels, boasts 7 meeting rooms and a 3,108-square-meter main hall, divisible into 11 sections. It also offers two business centers, parking for 450 vehicles, complimentary wireless Internet and a professional banquet services team. Located 15 miles west of the Istanbul city center on the European side, Istanbul Ataturk International Airport serves 30 million passengers per year. The modern, passenger-friendly airport features nine domestic and 23 international gates and is less than a three-hour flight from most European cities. The largest airport in Turkey, Istanbul Ataturk International measures in at 701,786 square meters, offering both a domestic and international terminal to serve its 700 daily flights. Built in 2000, the international terminal was expanded in 2004, while the domestic terminal was recently renovated in 2006. Together, these terminals keep passengers comfortable with a great variety of shops, full-service restaurants, cafes and bars, as well as such amenities as a supermarket, salon and florist. The airport also features two rentable conference halls for 95 and 225 people, respectively. Istanbul Ataturk International Airport is also home to the Istanbul International Airport Hotel, featuring 85 guest rooms and a 325-square-meter meeting room equipped with cutting edge audio, lighting and projection capabilities. Parking is available in the airport's 7,076 vehicle spaces. The airport makes it easy for passengers to get to downtown Istanbul thanks to the Airport – Esenler Terminal Metro station. Trains run Monday through Saturday from 6 to 12:15 AM and Sunday from 6:25 to 12:15 AM. Passengers may also access the Havas airport bus service to Taksim, with service running daily from 4 to 1 AM. 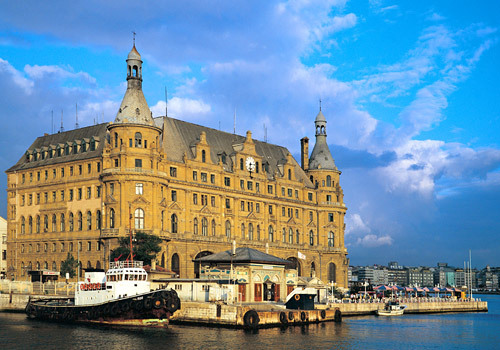 Istanbul has two main train stations: Sirkeci Station on the European side and Haydarpasa Station on the Asian side. 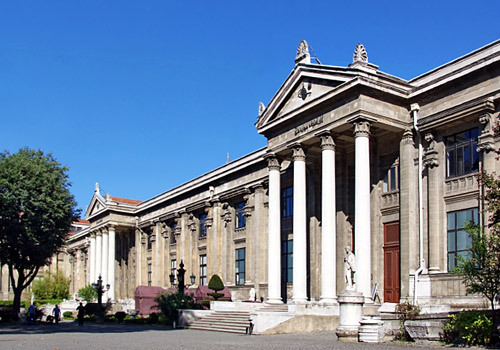 These stations see train service through various railways, including Bosphorus Express, which travels daily from Bucharest, and Transbalkan Express, which travels daily from Budapest via Bucharest. IETT's fleet of 2,500 buses encompasses 545 lines and tends to be extremely crowded. Buses run daily from about 6:30 AM to 11:30 PM. Each IETT trip costs TRY 2 per passenger. Tickets must be purchased at the system's numerous white kiosks, found at major stops, before boarding the bus. Istanbul's tram system offers three modern lines and one historic line. The modern lines include the T1 Zeytinburnu-Kabatas line, T3 Zeytinburnu-Bagcilar line and T4 Edimekapi-Sultanciftligi line. The most popular tram line is the T1, which travels along the Sea of Marmara past the Grand Bazaar to Sultanahmet, then across the Galata Bridge to Taksim Square. The 19th century historic Pera tram connects Taksim Square and Tünel Square, providing direct access to the Istiklal Caddesi pedestrian street. Trams run daily from about 6 AM to midnight. The modern tram lines cost TRY 1.50 per ride, while the historic tram costs TRY 1 per ride. The Tunnel underground train was originally built in 1875 to accommodate businessmen traveling between Galata and Pera. Today, the system is a fun, convenient way to travel, consisting of two stations that connect Galata with the Istiklal Caddesi and Kabatus ferry docks. The Tunnel runs daily from 6 AM to 10 PM. Fare is TRY 1 per ride. The green M2 underground Metro line serves six stations and runs through the city's modern business and residential sections. The Metro runs daily from about 6 AM to midnight. Fare is TRY 2 per ride. 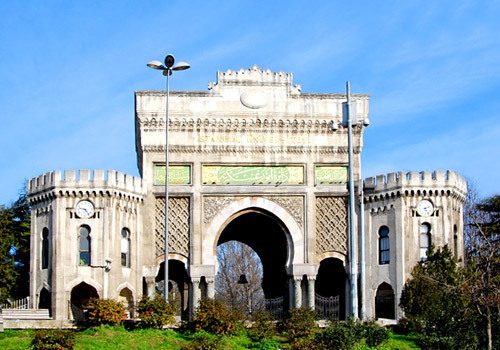 The red M1 Light Railway Line runs from Aksaray Square in Old Istanbul to the Istanbul Atatürk International Airport. Currently serving 18 stations, the light railway is set to expand to six new stations on the European side and 16 new stations on the Asian side. The Light Railway runs daily from about 6 AM to midnight. Fare is TRY 2 per ride. 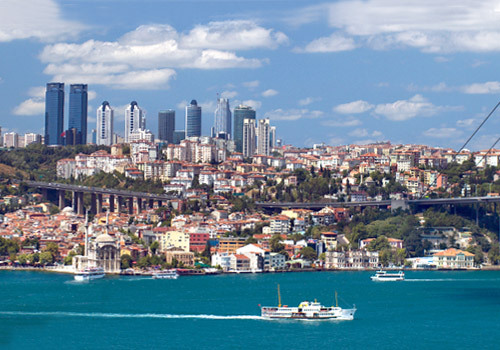 Istanbul Seabuses and Fast Ferries (IDO) operate 90 vessels and 86 terminals that serve over 100 million passengers every year. The primary provider of water transportation services in Istanbul, IDO vehicles include fast ferries, which carry vehicles and passengers, and inner-city seabuses, which carry passengers only, operating between Istanbul and other points of interest around the Sea of Marmara. Schedules vary based on route and time of year. Rates vary based on route as well, but regular fare starts at TRY 6 for fast ferries and TRY 4 for seabuses. Istanbul Atatürk International Airport is served by Airport VIP, Alamo, Avias, Avis, Avro, Decar, Euronet, Europcar, Euro Park, Hertz, Mert, Nationak, Sun, Sixt and Ulger. Car rental counters are located on the ground floor. Passengers at Istanbul Atatürk International Airport can access taxis outside each terminal. Rates start at TRY 2.50 and increase at a rate of TRY 1.20 per kilometer and Taxi rides from the airport to the city center take about 30 minutes and cost about TRY 30. Visitors to Istanbul can also get around the city via a dolmus, a privately-owned, shared taxi that seats about eight passengers. Dolmuses operate on specific routes throughout the city until midnight daily. Visitors should be aware that taxi nighttime fares are typically twice as expensive as daytime fares.